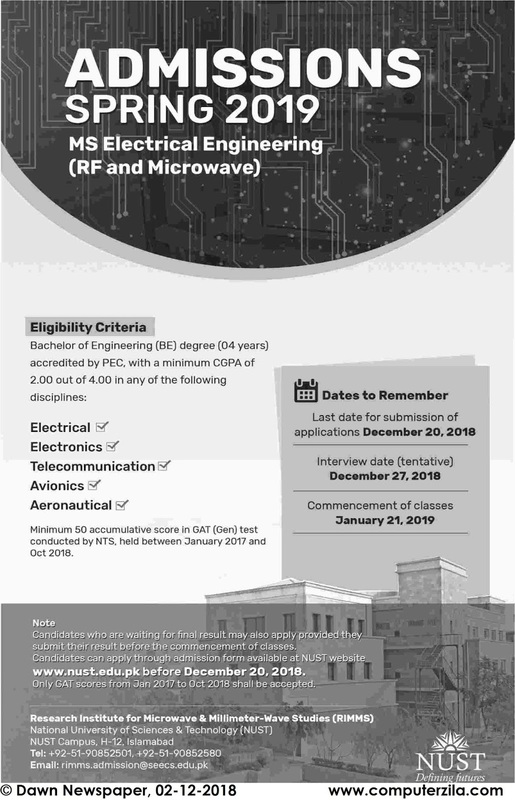 Admissions Open at NATIONAL UNIVERSITY OF SCIENCES AND TECHNOLOGY's Main Campus for the batch Spring 2019. NUST offers admissions in different fields of study for Master Programs. Campus AdressNational University of Sciences and Technology. NUST Campus, H-12, Islamabad, Pakistan.